Our research found that 70% of travel firms use pricey phone numbers for customer lines. Well, no more. The Government today announced that the travel industry will be banned from using costly numbers. 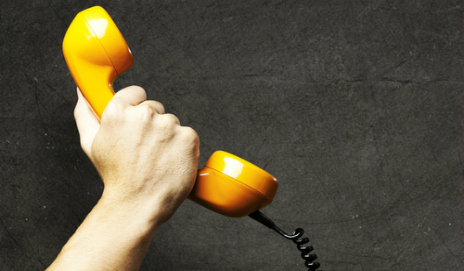 The Consumer Rights Directive is putting a stop to pricey 084 and 087 numbers for customer services and complaints lines. But there were exceptions to these new rules. The travel industry, for example, was going to be let off the hook. That’s about to change. The Government today announced that customers calling helplines to complain about incorrect train tickets or cancelled flights won’t have to pay any more than calling your friends or family. The new rules will come into effect from June next year, and will also cover most other industries, like major high street and online retailers. This is a big win for our Costly Calls campaign. 63,000 of you told us that all companies should be banned from using expensive numbers for their helplines, and with your help, we’re making that happen. In our poll of 1,914 people here on Which? Convo, 94% of you said travel firms shouldn’t be exempt from the ban on costly calls. Well, the Government listened. The Government has also clarified that basic rate does not include 084 or 087 numbers. This means companies can’t use the excuse that calling an 0845 number can sometimes be cheaper to call from certain landlines. And finally… Ofcom has announced new rules that will mean 0800 numbers will be free from all mobile phones. Phew, that’s a lot of good news. But the Consumer Rights Directive doesn’t cover every sector. Public bodies and financial companies are outside its scope. Thankfully the Government has reiterated that it thinks you shouldn’t have to pay high charges to access vital public services. The Cabinet Office will be publishing guidance on this very soon. As for financial companies, the Financial Conduct Authority (FCA) has committed to considering whether it could introduce similar measures if you’re calling your bank or insurer. Barclays, Barclaycard and RBS have already backed our Costly Calls campaign by promising to scrap expensive customer lines, but we want to see them banned across the board. We need the FCA to introduce the same rules for banks as for all other industries – so this is where you come in again. One – help us up the pressure on the FCA by asking your friends and family to sign our petition. And two – if you’ve ever been hit by a big bill for calling your bank, insurer or another financial firm, tell us about it in the comments below. Number witheld it say on my little telephone screen. Great I say; I will not answer it. Then I discover my own NHS doctor and Exeter hospital withold their numbers when they ring me so I have had to return to accepting these nuiscance calls. Then someone rings to say they have a deice which will do the job automatically. That sounds good I say to the man who called me; how does it work. The important part of this noe is that, if I install this device my doctor cannot ring me; is the machine lethal?